A Thai businessman owns Fortune Magazine. A dot-com billionaire owns Time Magazine. The widow of Apple’s founder owns The Atlantic Magazine. A retail disruptor (and wealthiest person on earth) owns The Washington Post. Never heard of Chatchaval Jiaravanon, the Thai businessman whose family controls Charoen Phokkhaphan, the largest conglomerate based in Thailand which employs over 300,000 people in over 30 countries? Neither had I until learning that he stepped up and paid $150 million for the iconic chronicle of American industry and business, Fortune Magazine. The Thai billionaire apparently jumped into the bidding when Marc Benioff, founder of software company Salesforce, switched gears and decided to buy Time Magazine instead of Fortune. Fortune Magazine has been my window into the world of big business since I first subscribed in 1980. I’ve read every issue since, cover-to-cover. The articles in Fortune have been extraordinarily insightful and topical, the research, writing and graphic design top-notch. Even though Fortune is not focused on the smaller privately-held companies that I have owned and/or worked for, the larger companies featured in the pages of Fortune were my customers and those companies set the macro-economic trends that influenced my business life. 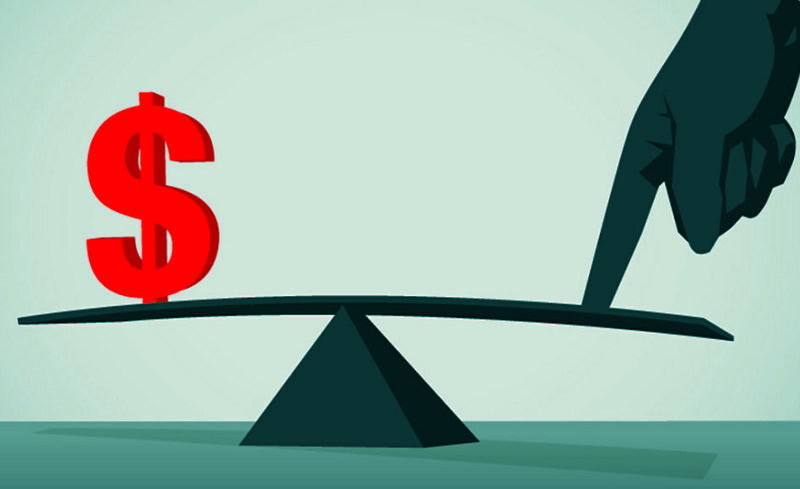 Over the past couple of years, as advertisers have moved their advertising budgets from the printed page to digital channels, Fortune magazine has gotten thinner, the paper lighter, and the deep journalistic dives fewer. Recent issues have featured more “sponsored” content, code for advertising disguised as an editorial piece, replete with copy that drones on about the wonders of doing business in Dubai or some other inane topic. If my subscription was not on auto-renew, I suspect that my decades-long habit of reading Fortune on my lunch break would have ended with nary a blip in my routine. My collection of antique Fortune magazines offers an amazing journey into history; history written as it occurred. In one of the very early issues, November of 1931, the topics covered included: government intervention in farm productivity, the politics behind the growing Port of New Orleans, an accounting of war reparations from World War I, the new unemployment relief programs, the Cleveland orchestra (with color illustrations of each instrument), Soviet propaganda posters, deep sea salvage, outfitting the babies of the wealthy (after all, the magazine was named Fortune), the rising economy of Brazil, and a photo essay of Europe’s top statesmen caught in casual poses (including Mussolini scowling at his guests over coffee). 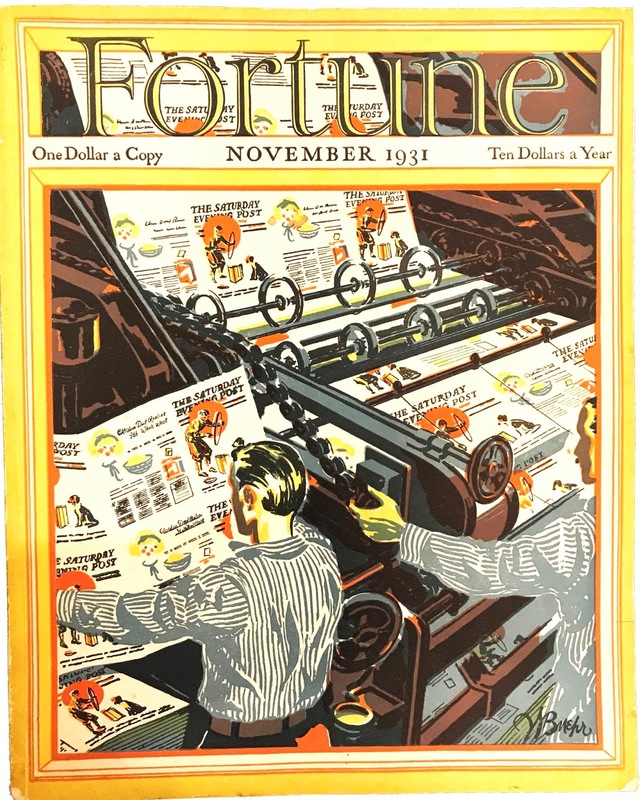 Of special note to those of us in the printing industry, paper manufacturers such as Crane’s Bond, Gilbert Paper and Kimberly-Clark advertised often in the early issues of Fortune to reach the top echelon of American business. Fine writing paper was touted as a necessity promoting the image of a successful company. The cover of November ’31, one of my favorites, was not an illustration of a ship, a plane, a train, or a steel furnace, but rather the image portrayed was that other important driver of economic growth, the printing press, turning out an issue of The Saturday Evening Post. Without exception, the billionaires, the new owners of these iconic American titles, have vowed to stay out of the editorial side of the enterprise. Their statements are refreshing, especially after all the thrashing about at Time, Inc. over the past several years that management was breaking down the walls between the editorial and business departments, eliminating the firewall between “church and state” that has sustained an editorially independent press. We need a new model of support for the free press, and what appears to be emerging is ownership of these publications by people who are so wealthy that they can sit by and sustain the losses incurred by these broad-based general interest publications. The notion of a billionaire-supported free press is suspect, at least in my opinion, since the century-old advertiser-supported model relied on a constantly evolving and very diverse foundation of revenue sources, none alone so powerful that they could suppress the robust independent journalism we have enjoyed for so long. The new mogul-supported model concentrates the financial support in the hands of a very select few, however well-meaning their initial intentions. After its print-affirming acquisition of LSC communications, announced last month, Quad/Graphics got back on course with its “Quad 3.0” strategy, announcing the acquisition of Periscope. The acquired company appears to have all the hallmarks of an upscale, hipster, chic, creative agency in a sophisticated urban setting, complete with rooftop garden meeting area and open work spaces (lest you doubt my “hipster-chic” characterization: no less than six dogs are featured prancing around the office in the one-minute intro video on the website). The Periscope deal mirrors Quad’s September acquisition of Peppermint Warszawa, an upscale creative agency in Warsaw, Poland. Quad took baby steps into creative digital services back in 2014 when it acquired Brown Printing as part of its “Quad 2.0” strategy of consolidating the large printer segment of the industry. In that transaction, Quad landed the digital and mobile agency Nellymoser, which Brown had previously acquired (see The Target Report: Is the Printing Industry Devolving or Evolving? – March 2013), eventually rolling Nellymoser into its homegrown BlueSoHo creative production boutique. A much bigger step, really more of a leap, was accomplished earlier this year when Quad acquired Ivie & Associates, the Texas-based marketing production services and marketing execution company (see The Target Report: Turning a Big Ship – Quad/Graphics Acquires – February 2018). Also in line with the “Quad 3.0” strategy was the acquisition of digital marketing services company, Rise Interactive, announced in March of 2018. Joel Quadracci, chairman of Quad/Graphics, in the press release announcing the Periscope deal, proclaimed that the acquisition will create an “integrated end-to-end marketing platform that we believe will create more value than the traditional siloed agency approach.” Of course, the big advertising agencies (and let’s not exclude the global print management companies) are not waiting around quietly while Quad conquers the higher ground on the creative process ladder. I can hear the retort coming – what could be more siloed than a large capital-intensive, heavy-machinery, industrial printing company trying to integrate with a human-intensive, young, hip, group of creatives that bring their dogs to work and walk out the door at the end of every day? While I wouldn’t bet against Quad succeeding to carve out a space somewhere in-between the top creative agencies and hard-core industrial-strength printing, it’s clear that Quad is covering its bet on the “3.0” creative strategy with the game-changing and much larger pending acquisition of LSC Communications. When that transaction is complete, Quad will instantly vault to the number one position and become the biggest printing and publication logistics company in the US. On a much smaller scale than Quad, Firespring, headquartered in Lincoln, Nebraska, continued its evolution into a one-stop marketing services provider with the acquisition of Evol Empire Creative. Evol, as the acquired company is known, specializes in interactive digital, website design and video production. Firespring has grown through a series of acquisitions, including the August 2016 purchase of Jacob North Media Solutions which brought significant print capacity and expertise to the group. That same month, the company acquired an online crowdfunding platform, Deposit a Gift, bringing a unique fundraising service to its focus on the non-profit sector. Firespring has its roots in printing, originating in 2015 as a mash-up of five small printing companies. Mailing services were added shortly after the initial formation of the company with the purchase of On-Time Marketing. Firespring now has more than 200 employees and appears to be delivering on the concept of what a marketing service provider can become, a creative force in its market while still maintaining a strong core print component. Private equity interest and activity in the label printing segment remains very strong. Fortis Solutions Group, a portfolio company of Main Post Partners, announced a double header deal with the acquisition of Premier Georgia Printing and Labels located in Flowery Branch, Georgia and the Austin Label Company located in Austin, Texas. The Georgia company also produces folding cartons. Resource Label Group, with the backing of First Atlantic Capital, acquired Spectrum Label in Hayward, California. The acquired company produces pressure sensitive labeling. Two weeks later, Resource Label Group acquired Best Label, located in Cerritos, California. Best Label also produces pressure sensitive labeling, using letterpress, flexo and digital printing processes. (For more, see The Target Report: Private Equity LOVES Labels – August 2016). 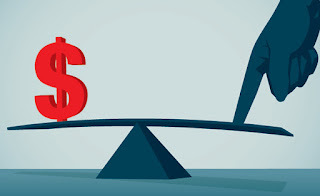 The past two decades have been a turbulent time for the paper industry in the US and Canada, as producers closed mills in a frantic race to catch up with the downward demand for the printing grades of paper, from newsprint to high-end fine coated papers. The weaker paper producers declared bankruptcy and many paper mills ceased production. At the same time, the stronger players have been on a conversion binge, jettisoning the production of printing grades in favor of the paperboard and containerboard grades used to produce folding cartons, corrugated boxes and other types of packaging. (see The Target Report: Corrugated Gets Glam – May 2018). As the volume of printed communications declined, paper producers tried to get the supply curve to meet the downward spiraling demand curve for printing-grade papers. Some mills changed over to produce products for which demand cannot be siphoned off by the internet: tissue paper and toilet paper. At least one pulp mill converted to producing the “fluff” fiber used in disposable diapers and similar products. From the printer’s point of view, paper supply was plentiful, and prices were incredibly stable. That has changed. Over the past several months, we have heard reports that some mills were simply not accepting new orders until their backlog clears. Coated paper production capacity is reportedly down at least 20% from 2016, and prices have moved correspondingly upwards by 20% or more. The price for wood pulp, the raw material for paper, has increased 23% versus the same time last year, and is up 45% or more since the bottom of the pricing cycle in 2016. Commercial printers have been forced to place orders well in advance, maintain higher inventories, and quote new orders “subject to” price and availability of paper. In October, we noted a robust resurgent interest and investment in paper mills. However, the recent transactions do not spell relief for the commercial printing, newspaper or publication printing segments. Transactional activity in paper production has been focused on packaging grades in apparent response to the “Amazon effect” that is increasing demand for corrugated shipping cartons and the positive economy which is driving demand for consumer packaging. ND Paper, the US subsidiary of Hong Kong-based Nine Dragons Paper, the world’s second largest containerboard producer behind US-based International Paper, announced that it is acquiring the shuttered Old Town Paper Mill in Maine. Concurrent with the acquisition, ND Paper disclosed plans to invest $25 million and restart production at the mill in the first quarter of 2019. The mill, which will be producing unbleached pulp for corrugated cartons, has been silent since 2015 when its owner declared bankruptcy and sold the mill in a 363 sale (see The Target Report: Specialties are Targeted, Mills Close and Consolidate – January 2015). The plans to reopen the mill at that time never materialized and there was talk of selling the mill for scrap. ND Paper also acquired two other US paper mills earlier this year, one in Rumford, Maine and the other in Biron, Wisconsin. Both of those mills were purchased from Canada-based Catalyst Paper. ND Paper recently announced that it would be investing $111 million to increase efficiency at the Rumford mill. While it is a positive sign that a mill is starting back up and investments are planned, printing companies relying on coated printing grades should not get too excited - ND Paper is converting a machine in Biron from coated printing grades to containerboard, and there is discussion in the industry that similar conversions may be in the future at Rumford. The private equity owners of Catalyst Paper announced the sale of the business to Paper Excellence Canada, a recent entry into the papermaking business which has been acquiring paper mills in Canada, France and Germany. The sale includes Catalyst’s three remaining mills, a distribution center and headquarters facility. Paper Excellence Canada produces pulp, printing papers and packaging grades, and is focused on exporting its products to Asia and in particular to China. New York-based private equity firm Lindsay Goldberg acquired the specialty paper business of paper manufacturer Glatfelter in October. Lindsay Goldberg has rebranded the spun-off paper products company as Pixelle Specialty Solutions. Glatfelter, known for many years for its cream-colored text papers used primarily in book manufacturing, continues on as a global engineered materials company producing filtration, hygiene and other fiber-based products. Established during the civil war when Philip Glatfelter acquired the bankrupt Howard Paper Company in Spring Forge, Pennsylvania, the original purchase included a shuttered stone mill building with one small paper machine. In a distant echo of today’s squeeze in the pulp markets, the former owner had been forced into insolvency by the shortage of linen rags due to the war (papermaking from wood-based fibers was still in its infancy at the time). Carthage, New York-based Carthage Specialty Paperboard, which filed for chapter 11 bankruptcy in February 2018, was acquired by Ox Industries. The acquiring company was not the highest final bidder but emerged as the winner in the Bankruptcy Court 363 sale process due to its superior demonstrated financial ability to close the deal. Ox Industries has eight plants across several states, and manufactures paper tubes and cores, and paperboard. New-Indy Containerboard, based in Ontario, California, has acquired Resolute Forest Products’ paper and pulp mill in Catawba, South Carolina. The acquired mill has two idle papermaking machines, formerly configured to produce coated printing paper, but given the focus of the acquiring company on packaging grades (check out the company name of the buyer), its likely those machines will be restarted to produce containerboard, not printing grades. Presumably, printing companies that are struggling to procure sufficient paper are hopeful that the currently active machine at the Catawba mill will continue to produce coated printing grades, at least until more supply comes online (not in sight at this time) or demand falls further (likely, but not what we hope for), and the supply and demand come back into balance. CJK Group, which has been rolling up companies in the book manufacturing segment, cut short the plans of erstwhile competing book industry consolidator Printing Consolidation Co. (“PCC”) with the acquisition of PCC’s two companies, Dickinson Press and Kingsport Book. Dickinson Press is noted for its specialty printing of books on very lightweight papers, including bibles, educational and business books. Kingsport Book brings specialized finishing into the CJK family. Both companies will be rolled into CJK’s game changing acquisition earlier this year of The Sheridan Group (see The Target Report – Legacy Printing Companies Fade Into History). North of the border, Marquis Book Printing now claims to be Canada’s largest book printing company, based on its acquisition of Webcom. The acquired company utilizes traditional offset and digital inkjet printing to offer complete end-to-end book production to reduce inventories, including its BookOnDemand service. Marquis reports that the combined companies now have capacity to produce over 100 million books annually in its three plants. Lots of ink has been spilled in the past several days about the announced acquisition of LSC Communications by Quad/Graphics, with much more to come we’re sure as that deal works its way through regulatory hurdles. LSC has been strategically acquiring distribution companies to augment the printing assets which were included when it was spun off from RR Donnelley (see Transformation and Rebirth – July 2017 M&A Activity), including the acquisition earlier this year of RR Donnelly’s print logistics business. LSC has also been moving upstream in electronic content, exemplified by its acquisition of MAZ Systems in July this year (see The Target Report: If you Can’t Beat ’em, Join ’em). All of those acquisitions now become part of the Quad/Graphics family which will replace RR Donnelley as the largest US-based printing company, including LSC’s significant book production capabilities.